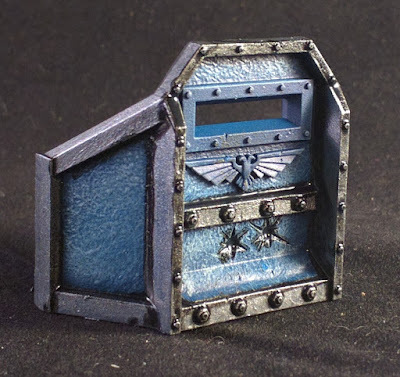 Continued progress on the Aegis Defense Line. Over the top of the Chipping fluid I put down a base of Vallejo Game Air Imperial Blue, followed by a dusting of Vallejo Game Color Turquoise, with a dry brush of Vallejo Game Color Pale Blue Grey. Gunmetal Grey was then put down to accent the reinforcing. with black-lining wash into the recesses. Now to add Gold on the remaining trim. Then start the chipping. Further progress on the Sisters of Silence. All assembled cleaned and mounted on cork. Ready for cleaning and paint. Almost done. Just need some decals and maybe a little paint chipping, after I seal the miniature with some satin varnish. Maybe I should also tidy up his eye, too. 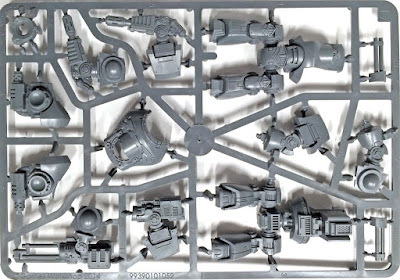 So let's start off with the statically posed B@C Plastic Contemptor model. Before you assemble the front and back halves, you will need to cut the center pelvis area from the legs, leaving the rounded hip bearings and upper legs attached to the lower legs. Trim this as close to the upper leg bearings. This should be fairly easy if you do this before you glue the front and back together. Above is the two sections that you'll want to aim to cut. The front and rear sections of the pelvis. Make the first two cuts as close to the outer portion of the hip joints, Aim to make this as flush to those as possible. The third cut is across the top of the pelvis. Again try to make the cut as close to the bottom of the lower torso as you can. This is more to salvage to lower torso section as this will be where you will mount a magnet, later. This will give you a front section and a rear section for the pelvis area and the legs. Yes, I am back, it's been a while. And this time around, I got a chance to do a bit of a do-over on my Master of Mankind, the Emperor. You'll remember where I had left of on this model (See below). 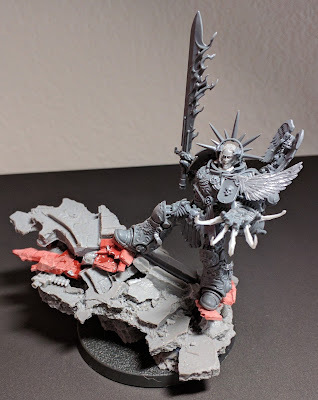 Whilst it was a fun conversion, I just didn't feel it captured the essence of the Emperor. So when the new Roboute Guilliman (aka Row-boat Girly-man) was released I knew I just had to make the conversion. The basis of the Guilliman is truly a pretty model. Lots of detail. So what could I alter to make him look like the Emperor? So starting with the Power Claw, I used a jewelers saw to cut the hand from the arm. This will enable me to re-position the hand into a position were it appears that the Emperor is conjuring. 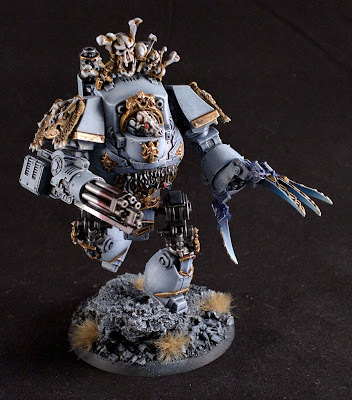 I then re-cast some claws from the ForgeWorld Resin Kor Phaeron miniature and attached them to the fingers. Guess what the cat dragged in. Yup, no Vlka Fenryka force would be complete without a squad of Sisters of Silence, or Adeptus Sororitas (Sisters of Battle). 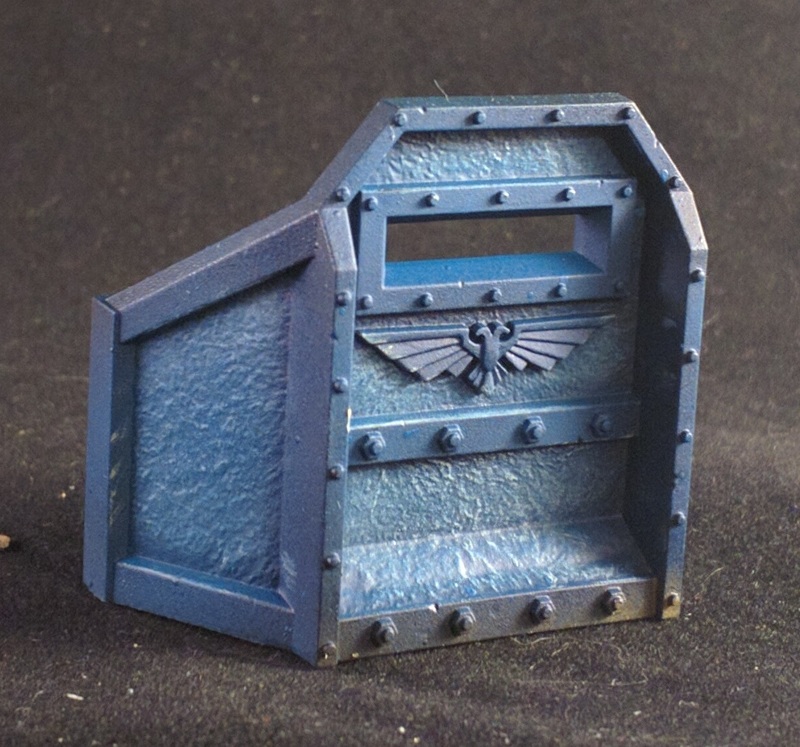 Especially for when the Rout burns Prospero. 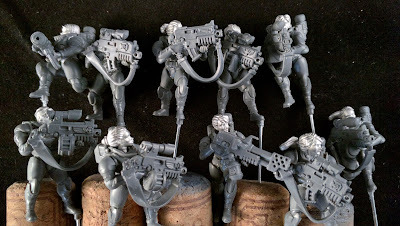 So I grabbed a Box of Dream Forge Games Eisenkern PanzerJagers, added some WH40k SternGuard Bolters and Statuesque Minatures 28mm Female heads. And off I went.